Big Big SLO is pleased to present this fantastic concert series. 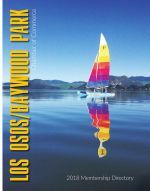 Monday evenings in Baywood Park have become the “don’t miss” event of the week! Join us in the lush bayside gardens of the Blue Heron Restaurant every Monday from 5:00 – 7:00 for great music, food, drink, and unparalleled great vibes! The upcoming performer will be the NICOLE NADINE BAND.